Today marks the 25th death anniversary of the martyred national hero Benigno Aquino, Jr. 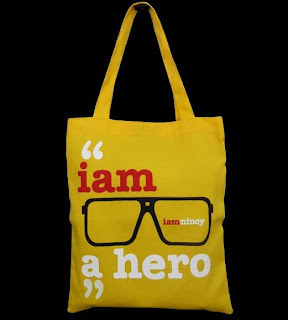 The Benigno S. Aquino Foundation (BSAF) will hold a Year-Long celebration of his heroism in a campaign: "I Am Ninoy". Team Manila was selected by BSAF to design and produce shirts and accesories honoring the spirit of Ninoy. 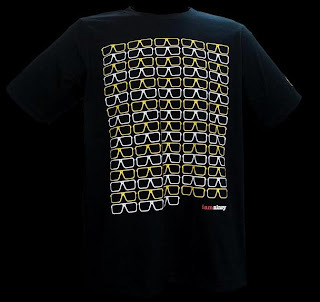 --A portion of all proceeds from Team Manila I AM NINOY shirts and apparel would go to K.I.D.S (Kabataang Inyong Dapat Suportahan) Foundation. What are you guys waiting for? Bring out the hero in you. Grab a shirt of bag now and help the Filipino Youth. This is what i call a fashion with a cause and purpose. Mabuhay! I'm a Filipino in Los Angeles where can I get the shirts onlne? Salamat po!